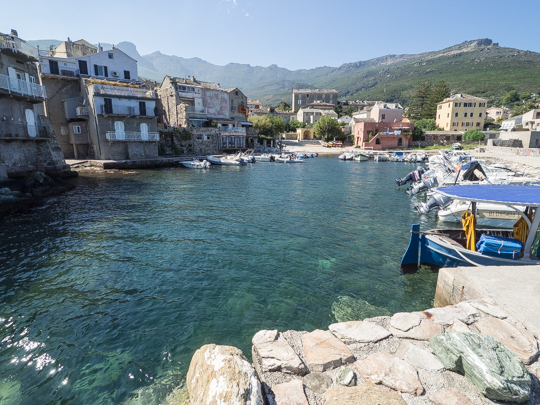 This is the third installment of my posts detailing my Corsica & Provence trip this summer. 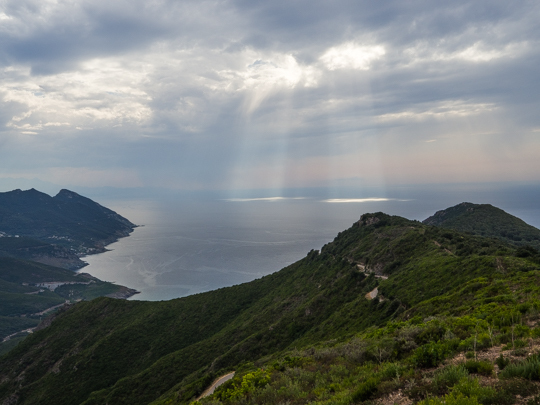 After our stay in Bonifacio and in the mountains of central Corsica, we took the long route from Casa di Lucia back to Bastia, through a number of mountain villages and beautiful countryside. We drove up to Erbalunga on Cap Corse for a late lunch before going into Bastia. 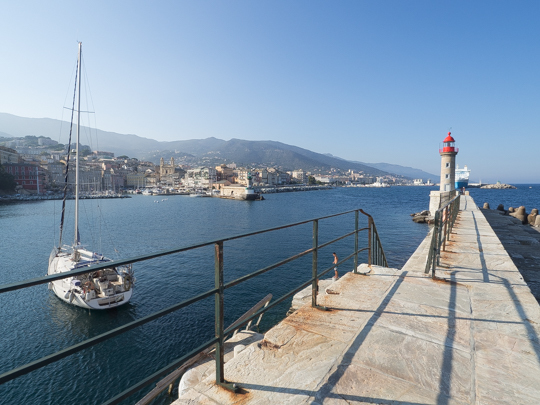 I had eaten at Le Lavezzi before and really enjoyed it so we were happy that they had a table on the balcony for us for dinner in Bastia, overlooking the old port. The food (Italian) is great and the view can’t be beat. 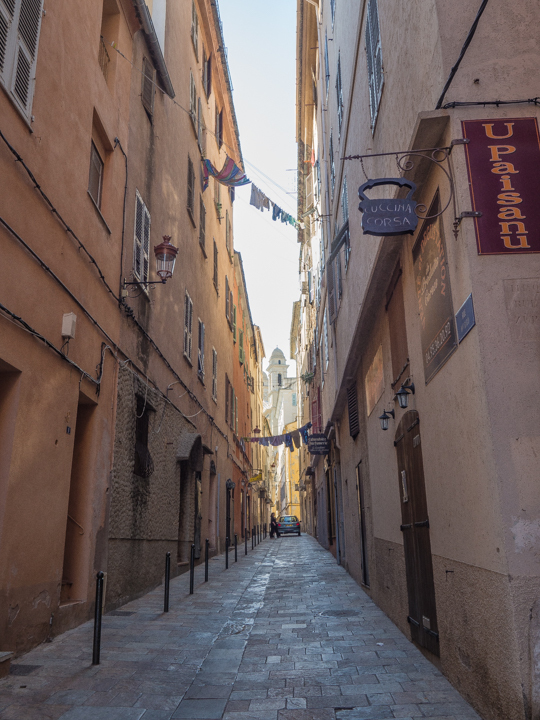 We spent the days outside of Bastia but the evenings exploring the city, primarily around the old port area. Our hotel, Les Voyageurs, started out as a bit of a disaster but they made up for it by under-charging us in the end. They lost our reservation and failed to reserve our boat and jeep tours as they had confirmed. But in the end, they did find us a room and upgraded us, and after some discussion finally were able to book us on a boat and jeep tour last minute. And a very nice woman at reception even drove us back to the ferry on the last day in her own car. The bottom line: it’s a fine hotel (and in a good location) if you stick with online booking, but don’t be duped into booking through the hotel’s marketing team directly. Despite the mix-up with the hotel, we did do a boat trip from St. Florent with Le Popeye to the Agriate Desert beach of Lodo. From Lodo, we hiked along the shore (45 min or so) to Saleccia beach, then took a short jeep ride back to Lodo. 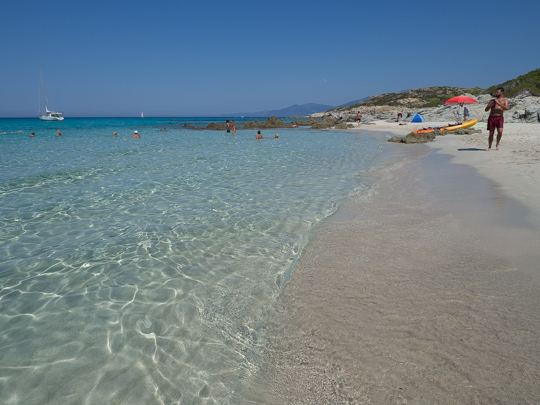 Both beaches are incredible—beautiful white sand and turquoise water. And even the drive up and over the mountains from Bastia to St. Florent is well worth it. The last night in Bastia we ate on the south side of the old port (for a different view from the last two nights on the north side). We ate at Chez Huguette, which was a bit pricier than some of the other restaurants around but it was excellent, worth the splurge. 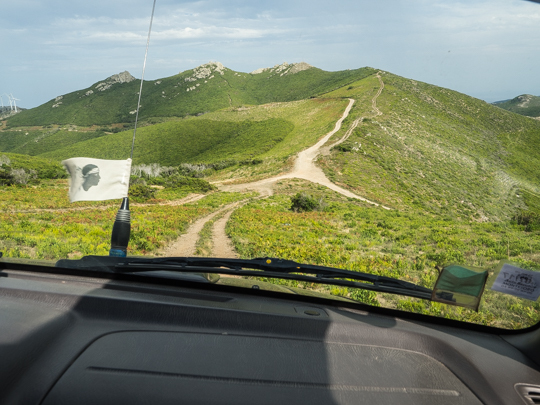 We booked a jeep tour with Alban of Rando 4×4 Corse for our second full day in Bastia. 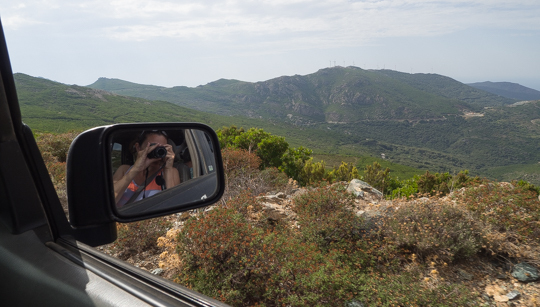 We explored Cap Corse, the peninsula north of Bastia, all day long in Alban’s jeep, as part of a little caravan of jeeps. Alban’s trips give new meaning to “off road”. Several of the “roads” we went down Alban claims to have created himself. It was really quite an amazing experience that I would highly recommend. Remember, you can see all my photos from this trip here!